For some, mention of Charlie and the Chocolate Factory sparks fond memories of Roald Dahl's 1964 children's novel and Gene Wilder's historical 1971 performance; for others, fond memories are foiled by the reality of its content. When word of the adaptation, Willy Wonka and the Chocolate Factory, directed by Mel Stuart, first leaked, one of the most common and controversial issues with Dahl's novel was again brought to the forefront. The Oompa Loompas were originally depicted as tribal Africans who Wonka crates and ships to his factory for cheap labor. This racist depiction, found in the original published version of the novel, led the NAACP to push for a portrayal that moved away from the one with infamy. In the first film adaptation, they became the mystical orange creatures everyone has come to know and love. The 1972 revised edition of the novel featured what Jeremy Treglown describes as "dwarfish hippies with long golden brown hair and rosy-white skin." The change of race is a noble aim indeed; however, even with the plot stripped of its blackness, negative stereotypes still remain blatantly present in backstory, plotline, and characterization. With comic book films premiering every season, production companies make adapting look simplistic; this is not the case. Script consultant Linda Seger chronicles and analyzes the steps of adapting in The Art of Adaptation. In her how-to book, she uses Gone with the Wind to discuss what makes a novel a successful film. Highlighting characters and plot as the main ingredients, she explains, "The book Gone with the Wind is as much about the lost South as it is about Scarlett's relationships and struggles. The theme gives depth to the story. When I watch the film, however, the story sweeps me along. The story becomes the most important and the idea about the lost South is not what I remember best. I remember Scarlett and Rhett and the burning of Atlanta and Melanie and Ashley." Theme and tone contribute to the adaptation's success as well, but story and character are everything when it pertains to film adaptations. Academy Award nominee, Willy Wonka and the Chocolate Factory, rightfully focuses on characters and story, but in turn, the film highlights all the negative stereotypes embedded from the origin story itself, Charlie's Chocolate Boy. The widow Dahl tells how drastically different the book today is from the original drafts, stating that her husband's "first Charlie that he wrote about was a little black boy." Catherine Keyser, English professor at the University of South Carolina, was able to study and analyze one of these early versions. In her interview with the New York Times, she quickly summarizes Charlie's Chocolate Boy: "So Charlie ends up in the Easter Room, where there are life-size candy molds of creatures, and one of these life-size molds is shaped like a chocolate boy. Charlie is fascinated by this. Wonka helps him into the mold and gets distracted. The mold closes, and the chocolate pours over his body and he is suffocating and nearly drowning in it. And it hardens around him, which feels terrible. He's trapped. He's alive but can't be seen or heard. No one knows where he's gone. Then he gets taken to Wonka's house to be the chocolate boy in Wonka's son's Easter basket. Charlie is waiting for the mold to be cracked open the next day, when the son will get his Easter treat. That's when burglars come into the house to steal millions of dollars and jewelry. Charlie has witnessed this — there are tiny eyeholes in the chocolate — but they never realized the chocolate boy was alive. So he groans and alerts Wonka and his wife." According to Keyser, Charlie runs into some luck in order to accompany his white peers. In this version, however, with Wonka having both wife and son, Charlie is not given the factory, but a small shop in town. If not for warning Wonka of the burglary, little black Charlie was projected to die a slow, painful death inside the molding. 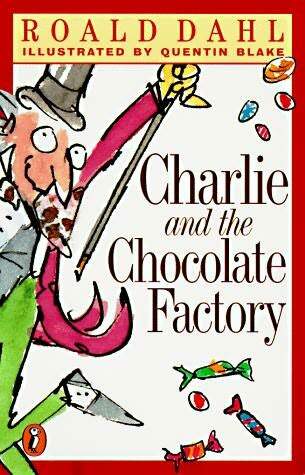 Dahl originally aimed for Charlie's Chocolate Boy to challenge stereotypes, ultimately calling them into question. He wanted the message so transparent, even Charlie's name, according to director Mel Stuart, "is associated with plantation owners." Keyser’s dissection of the meaning behind Charlie inside chocolate molding pinpoints this as a metaphor for stereotyping: "I think it's neat that in this midcentury moment Dahl has this black boy get stuck inside a mold that fits him perfectly — he emphasizes that — everything about the mold fits Charlie, except once the chocolate inside the mold hardens, it's uncomfortable! So what better symbol of what it's like to be turned into a racial stereotype than a black boy who gets stuck inside a life-size chocolate mold and can't be seen or heard through this chocolate coating." A heartfelt and much needed message — however, Dahl's agent, Shelia St. Lawrence, did not grasp this message during her reading of the draft and told him to change it, saying "people would ask: why?" St. Lawrence was not wrong in her demand for a race change; the 1960s British market was not ready for stories of black triumph. During the time period Charlie's Chocolate Boy was written, the United Kingdom had an influx of immigrants, leading to a panicked British work force. With the growing immigrant population, the unemployment rate noticeably increased for the first time since the 1940s. Although the increase from 1% to 4% did not gravely effect the economy, it affected UK citizens, causing them to fear the onslaught of immigrants. In Deconstructing the Oompa Loompas, Cheryl Corbin examines the possible meaning behind the Oompa Loompas by contributing their existence to this fear surrounding the UK workforce, stating, "The displacement of the British workforce within the narrative directly relates to the labor anxieties expressed in the UK during the 1950s and 1960s. Furthermore, these anxieties extend to the fall of the British empire, its economic loss as a world power at the end of WWII, and the rise of Third World nations. The 1964 narrative of Charlie and the Chocolate Factory can be understood as a site of societal struggle as the UK contends with the decolonization process." In an environment filled with anxieties and fears of "the other," Dahl's Charlie was best changed to white. Now Charlie is white, but even in the book and original adaptation, Willy Wonka and the Chocolate Factory, negative stereotypes remain found in the storyline. In the original version, Charlie's Chocolate Boy, Charlie and the Buckets live in poverty, so when Wonka gives Charlie his own storefront in town, his chance to earn economic stability for him and his family finally comes. Charlie, a common name given to blacks by slaveowners, now has the chance to reclaim his life and his identity — indicated by his breaking out the chocolate mold. In the published Charlie and the Chocolate Factory, Charlie and his family struggle as well, "never being able to make enough to buy one half of the things so large a family needed." Though Charlie's race changed, the backstory does not, and the plot transitions to film exactly as is. Charlie's name and situation arrive on screen unscathed, leaving the negative, racial connotations alive. The film takes the story to grave heights, making Mrs. Bucket single and Grandpa Joe a lazy tobacco addict, regardless of his family's situation. Poor Charlie is often depicted wearing the same outfit twice in a row while his peers are dressed differently each time we see them onscreen. In the book, the Buckets "could afford bread and margarine for breakfast, boiled potatoes and cabbage for lunch, and cabbage soup for supper." This remains the same in the movie; Charlie declares, ‘"I'm fed up with cabbage water, it's not enough" then pulls a loaf of bread from his bag. The family makes a banquet out of the loaf of bread, indicating bread as a delicacy. Another delicacy for Charlie is chocolate, which he only gets once a year on his birthday, so when the other children can freely receive and he cannot, he is singled out as the minority. The film opens with the famous "The Candy Man Can" song — a scene in which Bill, the candy shop owner, sings to the room full of children about the great and wondrous Willy Wonka. With their money, the children are able to enjoy candy and general merriment while Charlie stands on the outside looking in through a small window. This is the film's introduction to the protagonist, Charlie Bucket, indicating that he is the outsider of his peers. Despite the desire clear on his face, his ability to join his classmates in the candy shop is stifled by his financial situation. He shakes his desires and heads to his paper route, a slight source of income for his impoverished family. As a white family, the Buckets are poor simply because one (Mrs. Bucket) out of five adults in the household brings in income; yet when revisiting the film as if it holds true to Dahl's original storyline, the Buckets are unable to secure decent work due to their blackness. Mrs. Bucket washes laundry for others (a job customary of slaves) while many of the other adults introduced throughout the film hold well paying, respectable jobs. Charlie's economic status keeps him the outcast. When the Golden Ticket competition is announced at school, all the children race out the classroom — all, but Charlie. At the factory, he breaks the contract rules. As in the origin tale, where Charlie sneaks into the chocolate molding, Charlie and Grandpa Joe commit a transgression, stealing fizzy lifting drink, an action that reflects negative stereotypes. Willy Wonka and the Chocolate Factory emphasizes unemployment in two quick scenes at the beginning. On Charlie's way home from his paper route, he stops outside the Wonka Factory. This is the first image of the factory, and it appears to be abandoned. Charlie stares dreamily at it, only to be startled by a homeless man, who eerily warns Charlie, "Up the airy mountain, down the rushing glen. We do not go a hunting for fear of little men. You see, nobody every goes in. Nobody ever comes out." In the scene that follows, Charlie goes home to ask Grandpa Joe about the factory and why it appears shutdown. In ghost tale fashion, Grandpa Joe tells Charlie: "All the other chocolate makers in the world were sending in spies dressed as workers to steal Mr. Wonka's secret recipes, especially Slugworth. Oh that Slugworth, he was the worst. Finally, Mr. Wonka shouted, 'I shall be ruined. Close the factory!' And that's just what he did. He locked the gates and vanished completely. And then suddenly, about three years later, the most amazing thing happened: the factory started working again, full blast. More delicious candies were coming out like never before." The homeless man represents the British or, in Grandpa Joe's story, the factory workers who lose their jobs to immigrants or mysterious people helping Wonka. The Oompa Loompas' original depiction fits in context with Britain's 1960s immigration increase that caused many natives to lose their jobs, but in 1960s America, black characters working for cheap labor, or chocolate, would not do well in the market. The British are the underdog, and at the end, Charlie's newfound ownership of the factory, and ultimately the Oompa Loompas, represents the underdog winning in the long term. Although black Oompa Loompas made sense in a British context and market, when Dahl sold the rights and worked on the script for an American or even gloabl market, director Mel Stuart and others changed the color of the pygmies. With the Civil Rights Movement in progress, negatively portraying blacks was not in the film industry's best advantage. Corbin notes how films that did so saw less numbers financially: "As theaters became integrated African Americans became a capitalist venture for Hollywood in which derogatory depictions of blacks also meant a loss in revenue." The NAACP was quick to be vocal, attempting to block any negative depictions of blackness or slavery. In an interview, the director of the film, Mel Stuart, mentions how he not only got heat from the NAACP, but from people in Hollywood, stating, "Some prominent black actors came to see me and questioned me about having black Oompa Loompas working for a white boss. Right on the spot I said I would give them orange faces and green hair, and that's why they look that way." Stuart's simple switch of black skin and black hair to more alien-like tones of orange and green was an attempt to remove any physical signs of racism all for the sake of the market. Stuart changed the Oompa Loompas' skin color; still, racial stereotypes continue to underline the Oompa Loompas' backstories and characters. In the book, Wonka tells the group how he rescues the Oompa Loompas from a dangerous land filled with monsters who eat Oompa Loompas to survive. Wonka continues, "So I shipped them all over here, every man, woman, and child in the Oompa-Loompa tribe. It was easy. I smuggled them over in large packing cases with holes in them, and they all got here safely. They are wonderful workers. They all speak English now. They love dancing and music. They are always making up songs." Corbin notices the minor changes from book to screen: "There are subtle, but significant changes within the Oompa-Loompa tale especially in language. Instead of being 'imported' in 'crates with holes' as printed in the 1964 text, in 1971 the Oompa-Loompas are 'transported.'" This word choice changes the perception of how the Oompa-Loompas got to the factory from an object of commodity as associated in the use of the word imported, which stands in contrast to the use of the word transported, which expresses their humanity through the act of travel and not being packed into crates like merchandise. Both the book and film's narrative tell of saving the Oompa Loompas, making the Oompa Loompas' cheap labor a blessing for them, which Corbin describes "as a civilizing cause in return for their labor creating a positive good for both the master and slave." However, when the Oompa Loompas arrive at the chocolate factory, they represent "property" and not humans, an idea reinforced when, in the film, Veruca Salt tells her father, "Hey, daddy, I want a Oompa Loompa. I want an Oompa Loompa now." Following Veruca's exchange with her father, the Oompa Loompas begin to sing and dance, entertaining the children while teaching them a lesson. Many more scenes occur with the Oompa Loompas singing and dancing, making them the entertainment throughout every room. This action reinforces negative stereotypes of blacks formed due to minstrel shows, infamously known for whites putting on black face and entertaining their peers with songs and dances that mock blacks. With the Oompa Loompas portrayed as African pygmies, the constant singing and dancing and flipping around sadly reflects that minstrel tradition. White washing both the book and 1971 film has rendered them stories of extreme racism. Ironically, it may be true that Dahl's intentions were never to depict blacks in a negative light. He explains, "I saw them as charming creatures, whereas the white kids in the books were…most unpleasant." Mel Stuart's intentions when changing the Oompa Loompas from black to orange were saintly as well. Stuart and Dahl's main concern during the adaptation process, however, was highlighting character and story, which turned a film with zero racist intentions into a story of negative stereotypes. The film does not have a single black actor, not even as an extra — perhaps in response to the NAACP's outrage; however, if straying away from seemingly racist depictions was the goal, everyone on the production team missed the mark.